The level of political support and funding for NZ music has been one of the successes of the last nine years of the Labour govt. While there are legitimate arguments that the NZ On Air model leads to a glut of sound-a-like commercial fare there has also been a huge surge in interest in NZ music, a dramatic increase in airplay and subsequently the kiwi music scene has become more sustainable for musicians and record labels alike. Never-the-less, despite the current political support for music, very few contemporary kiwi musos are making songs about politicians. To find songs praising politicians we need to cast back into history. In the early 70s, Norman Kirk, the leader of the Labour Party was a very popular figure – so much so that when Ebony wrote a song about him, 'Big Norm', it became a minor hit. A decade and a half later Gerry Otimi and the Inventors School heralded another Labour leader in song with 'Kia Kaha David Lange'. Take a listen and it will be obvious why Gerry didn't share Ebony's success. You can hear the song on the Counting The Beat Nuclear Free podcast (mp3). It's even rarer to have politicians themselves make records. National Party MP Marilyn Waring surprised many, especially those fromher own party, when she released a single in 1980. 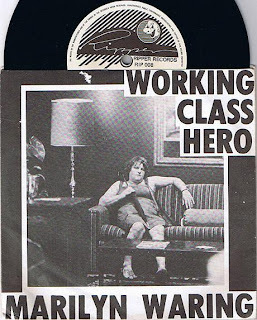 She was originally approached abour recording a single with punk band Proud Scum, a collaboration I wish she had seen through, but rejected that in favour of a cover of John Lennon's 'Working Class Hero'. Muldoon impersonations also featured on a satire record by Danny Faye in the mid 70s. One side features 'My Way' recorded in the style of Muldoon while the other is in the style of Labour leader Bill Rowling. As we head toward the current election one of the (many) disappointing aspects of the campaign has been the lack of campaign songs. Where are the rousing anthems of political prowess and utopian vision? They are few and far between. National have commissioned a song from a New Zealand songwriter - the insipid 'Choose A Brighter Future'. Meanwhile Labour comissioned a song last year, 'A Better Way With Labour', which was written and recorded by none other than Chris Knox. Sadly it hasn't been blasting through prime time telly in the political broadcasts – you've got more chance of hearing Mr Knox on a bread ad. I don't know if Labour decided the song didn't fit the image or whether Knox couldn't come up with a decent rhyme for a new verse on trust (it's all about trust, you know) but you can hear the song here on Counting The Beat. It's just over a year ago since a few of us got together and decided that Waiheke needed a community radio station. We had all been involved with the island's previous station, The Beach, which was owned by NZ broadcasting legend Barry Jenkin. But that had just collapsed. We naively thought we'd be on air within a few weeks but that wasn't to be. What followed was a year of hard work raising funds, battling with council bureaucracy, building a studio, borrowing and begging for equipment, training volunteers and more. We've been on air for a little while but this Labour Weekend Waiheke Radio has it's official launch. To mark the occasion I've pulled together a few songs by NZ artists that focus one way or another on radio. I read somewhere once that a sure fire way to get a hit was to write a song that had radio in the title and chorus because it was bound to be popular with radio programmers. Well that didn't happen for any of these artists but it has guaranteed them airplay on Waiheke Radio and here on Counting The Beat. SJD has a new album Dayglo Spectres just out, but on his critically acclaimed 2007 album Songs From A Dictaphone you'll find 'I Am The Radio', a jaunty song with a great groove that explores the idea of God listening and then singing through the radio. This song was one of a number on the Dictaphone album that brought together Sean James Donnelly's dance floor focused production and his developing melodic songwriting skill. By all accounts the new album continues in that direction which in my opinion is a good thing. 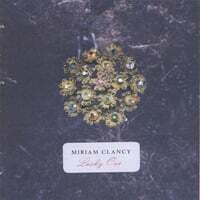 Following SJD is a song 'Transistor Radio' from Miriam Clancy's 2006 album, Lucky One. That album, on which Clancy brings an accomplished country-folk feel to the all-to-common female singer / songwriter gig made lots of best of year lists when it was released. Having gone to the States to ply her trade and returning to have a baby and play a handful of gigs, she is reported to be working on new material. 'Transistor Radio' is the tale of young woman hitting the road, leaving her life and love-gone-wrong behind, with only a shoulder bag and a transistor radio for company. No ipod for this girl! There's a live clip of Miriam performing this song on the video page and a live National Radio performance here (stream). Early 80s Auckland ska outfit, The Newmatics, are best known for 'Riot Squad', a song about police thuggery at punk gigs that took on new resonance during the Springbok tour (that song features in an earlier episode - mp3). The Newmatics were part of the same scene as Blam Blam Blam and The Screaming MeeMees, melding the DYI aesthetic of the punk and Flying Nun scenes with a crowd pleasing horn driven sound that got the crowds jumping. 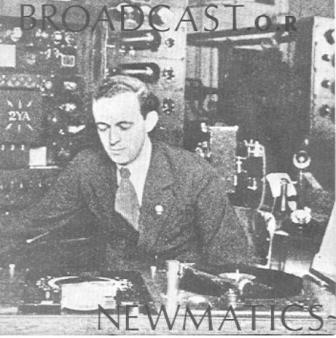 'Broadcast O.R.' is a more world-weary number from the group about the constant stream of depressing news about the state of society in the media and tuning into the top 40 just to forget it all. 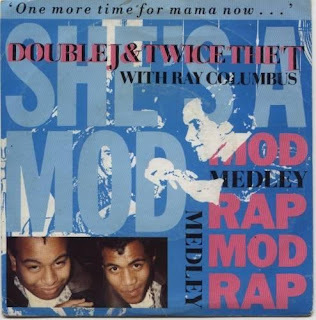 The song was released on a double 7" E.P. in 1981 but is also available on the 2003 compilation Riot Squad. the group reformed and played some gigs in 2002. There are clips of one of those shows on the video page. I also recommend you check out Simon Grigg's excellent site about Propellor Records and the NZ music scene in the eighties. Horns also feature in 'Radio', an upbeat song from Geneva, a young 8 piece band who got a break in 2004 while still at school, doing well in the Rockquest, appearing on TV and winning the production of a video. They now have an EP out called The Word is Going Round. 'Radio' is a pretty infectious number with horns, crunchy guitar and lyrics about everything sounding the same on the radio and not hearing anything interesting - not a problem on Waiheke Radio. Rounding things off is 'Shiny Radio', originally recorded as a promo for Dunedin student station Radio One by Jetty. The full (albiet short) song appeard on the bands 1998 album Soundtrax for Modern Heartbreak. That album is, in my opinion, an overlooked NZ music gem. Influenced by the likes of Pavement and Guided By Voices, who were influenced by The Clean and others in the Flying Nun stable, Jetty brought The Dunedin Sound back home half a generation later. The album, know going under the name Soundtracks for Modern Heartbreak has just been re-issued by Powertool Records - highly recommended. It's been a little while since I caught up with new releases, in fact some of the songs in this episode don't even feel that new any more, so it's catch up time. 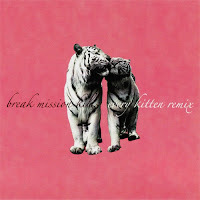 Cat and Bird is a limited edition lathe cut 7" single featuring two cuts each from The Enright House and Break Mission Kills. Both Break Mission Kills and The Enright House offer up moody, evocative electronic based songs perfect for late night listening. I'm a particular fan of the Enright House whose music, despite being recorded in a bedroom, seems to have a real sense of quiet grandeur. 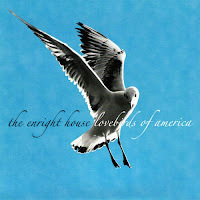 Mark Roberts, who records as the Enright House is a much under-rated musician and an artisan. His music is always thoughfully and beautifully packaged and presented. This single is a plastic lathe cut by King records, with a stunning picture sleeve. The single is available as a free download but I would recommend the single itself which also comes with access to high quality .wav files of the songs. The Enright House is currently working on a second album. (His first, A Maze and Amazement,is highly recommended), while Sarah Kelleher of Break Mission Kills is now in the UK recording and performing as Misfitmod. You should also take a listen to an intriquing The Enright House performance (stream) on National Radio. Also electronic based, but much more upbeat, are Little Pictures, a duo with a synthesiser and a pop knack. On first hearing their album Owl + Owl didn't do it for me, I just found the cheesy keyboard too much, but with repeated listens the songs have hooked me. Little Pictures emerged from a four piece band and personally I'd like to hear some of these songs in that setting, but there's no denying that these two write songs that are catchy as hell. On the same label as Little Pictures, (Lil' Chief Records) are the Ruby Suns, who took te reo to the world earlier this year when their song 'Tane Mahuta' became a runaway blogosphere hit. The album from earlier this year that featured that song, Sea Lions, was astounding - The Ruby Suns moving on from a heavy Beach Boys influence into a unique pop talent. New material now emerging indicates that the band are going from strength to strength. 'Don't Trust The Dirty Fruit' sounds a bit like a mix beween Graceland era Paul Simon and Talking Heads. The song features on an upcoming charity abum but this with a number of covers that are doing the rounds on the internet have me hanging out already for album number three. 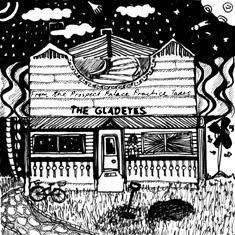 Indie pop-folk duo The Gladeyes recently featured in a Counting The Beat covers special with their cover of Die Die Die's 'Shyness Will Get You Nowhere'. That song features on a self released 9 track CD The Prospect Palace Practice Tapes, which is available by contacting the duo through their blog. I don't know if The Gladeyes have heard of Look Blue Go Purple, but I bet if they have they really like them. They share the same kind of "strum pop" 80s Flying Nun sound. Nice.